Your age is no match for your experience. This is how to put your relevancy front and center when writing your resume. Your resume should tout your skills, not your age. 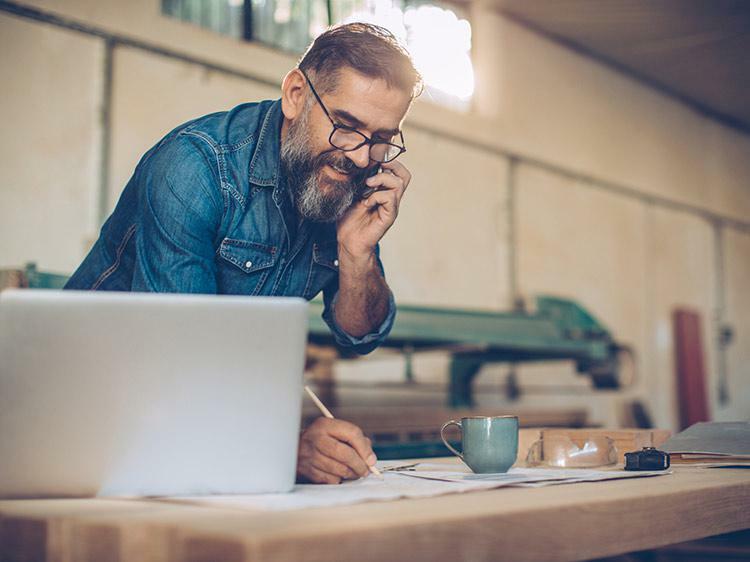 If you’re among the generation of older workers approaching 50 or older, you have so much value to bring to prospective employers—experience, hard skills, a been-there-done-that track record of industry know-how. So it’s a bit ironic that all your expertise could wind up working against you when you’re looking for a job. By structuring your resume strategically, you can combat ageism in your job search and showcase the qualifications that are most relevant to the job you’re seeking, says Kim Isaacs, executive resume writer and resume expert. For instance, think twice before leading with “decades of experience” on your resume. That’s a career red flag that might signal to employers that you’re outdated or overqualified, when, in fact, you’re exactly who they’re looking to hire. Also worth noting: Functional resumes do not perform well in applicant tracking systems. Isaacs suggests sticking with the traditional reverse chronological format. As long as yours is visually distinctive, concise, and to the point, there’s no need to mess with what works. Take the time to tailor your resume each time you apply for a job, says Susan Weinstock, vice president of financial resilience at AARP. “It’s time-consuming but worth it,” she says. “For example, make sure you include keywords from the job description in your resume.” This will help you stand out to recruiters and hiring managers who are looking for a very specific skill set, not to mention that it will make your resume more discoverable by search engines and software. The question most people have is how far back should they go? Employers are most interested in what you’ve done recently, says Isaacs, but there’s nothing wrong with sharing older career milestones. “Focus on accomplishments from the last 15 years or so, but still provide brief highlights of earlier positions,” she recommends. Tip: Group older positions together in a brief Early Career section, and omit the dates. No matter what your age, the best way to market yourself is to showcase your best attributes and accomplishments—especially the ones that align with the job you’re vying for. Your aim should be to keep the resume focused on the job target and downplay irrelevant information, says Isaacs. This can be especially tricky if you’ve gone through a career change (or two) over the course of your work life. So even if you went from the nursing profession to the hospitality industry, Isaacs says to try and highlight skills developed in one career that are transferable to another career. Also important is to show how you’ve developed and improved throughout your career by including accomplishments that reflect professional growth. “If you’ve been promoted, include previous job titles as well as higher ones so the history of advancement is clear,” says Isaacs. Although you should never lie on your resume, you don’t have to make it glaringly obvious that you went to college during the Reagan administration. The way around that is to just list your schools and degrees. “Remove graduation or school dates, since some employment algorithms will screen out employees over a certain age—and they can do that by looking at graduation dates,” says Weinstock. Just because you’re over 50 doesn’t mean you lack technology skills, but that stereotype does exist, and you have to overcome it—especially for positions that require some digital savvy. “In your resume and cover letter, talk about the technology you use and know well that is relevant to your field,” says Weinstock. Isaacs adds that including recent training completed, conferences attended, and involvement in professional organizations can be strong indicators that you’ve continued to learn and develop new skills. Even better? “See if your tech skills can be woven into an accomplishment to show how the technology was used to achieve a desirable result,” says Isaacs. Also, go ahead and list your technology prowess in the skills section of your resume, but steer clear of mentioning anything that’s outdated. Say “Word 2016,” not “Word 2002,” for instance. It's not the easiest thing to write a resume that highlights your skills and experience but doesn't make your age a focal point. Looking for a simple way to increase the chances that your resume will be noticed? Get a free resume evaluation today from the experts at Monster's Resume Writing Service. You'll get detailed feedback in two business days, including a review of your resume's appearance and content, and a prediction of a recruiter's first impression. It's a smart move no matter what stage your career is at.